Don't get me wrong, I love a statement bracelet as much as the next fashion girl. But lately a different type of arm party has been catching my (and my fellow editors') attention: delicate bracelets designed to be worn every day. This trend is absolutely nothing new—subtle bracelets and thin bangles have served as the foundation of well-styled stacks for years—but when worn on their own or layered up together, the styles feel suddenly fresh. If you're anything like us, you likely already have a stack of fluid chains and sparkly tennis bracelets in your collection just waiting to be piled on, which is one of the many reasons we love this trend so much. However, should you be looking to bulk out your lineup of options, there's a whole crop of new pieces from labels like Missoma, Gorjana, and Roxanne Assouline that our favorite style stars have been working into their rotations (think rainbow-hued jewels, gold-dipped puka shells, and grown up-takes on friendship bracelets). Read on to discover these, and more of our favorite everyday bracelets. 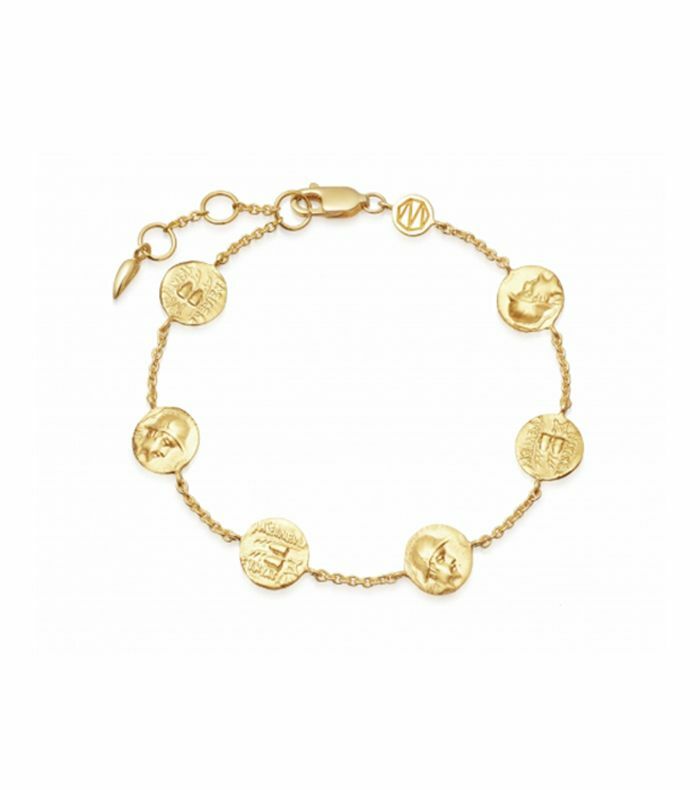 You can't go wrong with a vintage-looking coin bracelet. The sweet moon here adds a subtle pop of color. Classic design. Heirloom quality. What else can we say? You're going to want to wear stacks of this simple bangle. Abalone makes for a boho-chic everyday bracelet. We love this subtle twist on a classic chain. Get this one engraved ASAP. This minimal bracelet goes with everything. Rainbow gems ensure this is not your mother's tennis bracelet. This beaded style proves everyday bracelets don't have to be boring. The next best thing to an actual trip to Hawaii. This style is the perfect foundation for nearly every stack. A flash of green is an easy way to add in a bit of color to your everyday collection. The perfect combination of sporty and chic. Can't get enough of the trend? Here are 17 more simple bracelets you'll never have to take off.